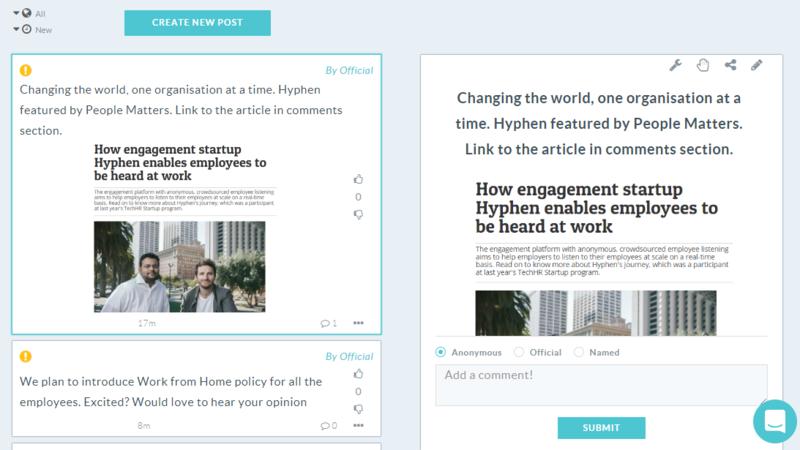 Hyphen now lets users highlight feedback & suggestions with images. Our intention was to enable employees to share their concerns around facilities, workplace safety, and security with more than just words. Hyphen has a new metric - eNPS. eNPS stands for employee Net Promoter Score and is a way for organizations to measure employee loyalty and employees’ willingness to be their ambassadors. It is calculated by asking people how likely they'd be willing to refer or recommend your company or products/services to their friends and family.